Trees can contribute greatly to the amenity and value of any site enhancing property value and biodiversity potential of developed sites. Therefore using an arboricultural consultant in the early stages of any project is essential. CEC is a Member of the Arboricultural Association and our arboricultural consultancy services range from British Standard BS5837:2012 tree surveys and assessments, to safety, ecologically focussed and woodland management surveys, as well as assisting in the discharge of tree-related planning conditions with design and method statement input, such as technical details for permeable and no-dig paving. Our highly experienced consultants can advise on tree protection measures and management requirements to ensure tree stock is preserved for many years to come. Based on co-operation and innovation, our work ethos is based on working with you and your design team to design feasible and practical solutions to tree-related issues, achieving viable and distinct developments. CEC’s ecology team can provide input to projects such as checking trees for suitability as and presence of bat roosts, identify the importance of trees in terms of habitat value and advice on veteran trees. Our landscape architects can produce tree planting and mitigation plans, construction details for integration of tree planting in paved areas and technical details for permeable or no-dig paving in tree root protection areas. 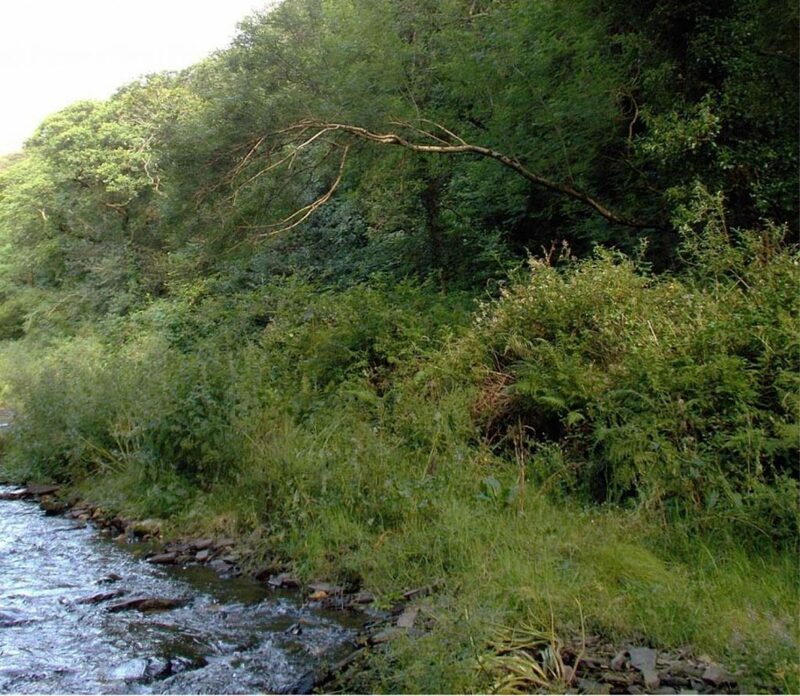 Commissioning tree surveys, ecology surveys and landscape design with us as a one stop shop will ensure that results of these three disciplines are coordinated for maximum client benefit. 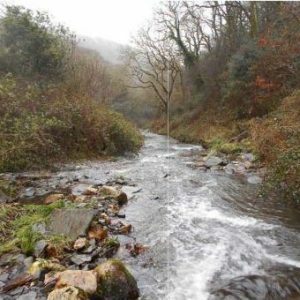 CEC were commissioned by the Environment Agency to undertake a tree management and wood debris management survey along the corridor of the River Valency, extending east of Boscastle. 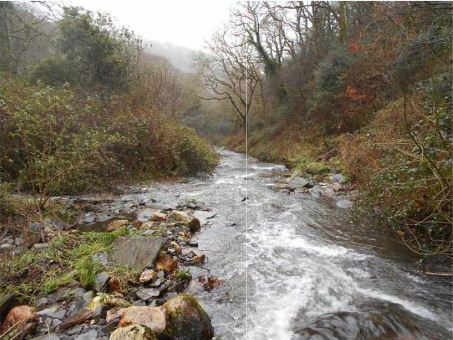 In response to the Boscastle flooding that took place in summer 2004, appropriate woodland and debris management now forms part of the Valency Flood Defence Scheme (FDS). 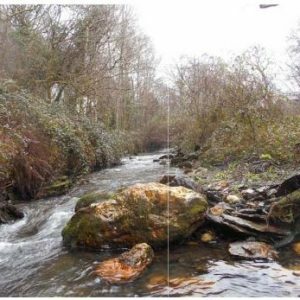 The survey was intended to identify the tree resource present on site to inform future management decisions and identify specific trees in need of works, in the interest of preventing blockage of the water course. Much of the study area is covered by TPO with the western extent also designated as a Conservation Area. The survey had two key elements, identification or Visual Tree Assessment (VTA)) of trees for removal that were considered to be in a condition that would contribute to issues of flooding and identification of woody debris for removal, which otherwise if left would be transported downstream to the FDS and contribute to issues of flooding. The survey was undertaken based on the key principles of BS5837 by walking systematically up the Valency floodplain reviewing base mapping and specifying appropriate operations and/or maintenance required in order to achieve the client’s identified management activities. Mapping was uploaded onto a tablet device that was used for recording survey information onsite by the two man surveying team. This survey data was then imported into AutoCad and processed for final presentation, with schedule information added to the drawings as required. Boscastle Tree Management Survey. 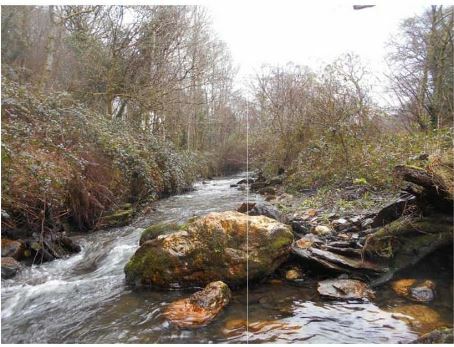 As a result of CEC’s input the client now has a reliable and detailed resource to inform and support their management activities within the River Valency Valley in order to minimise the potential effect of tree related debris in the event of flooding. At Boscastle is was very important to have a detailed report which addressed the objectives as set out in the brief. CEC provided such a report, and are very committed to providing a quality service. The staff are experienced, knowledgeable and had an understanding of the objectives and requirements, and had a very professional attitude. 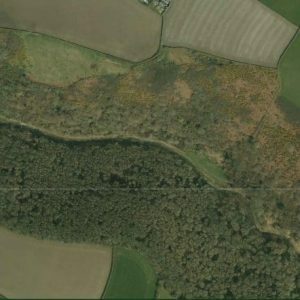 Since this project, the Environment Agency have engaged the services of CEC on three similar Tree & Vegetation Management Surveys, and I, on behalf of the Environment Agency, have no hesitation in recommending CEC.